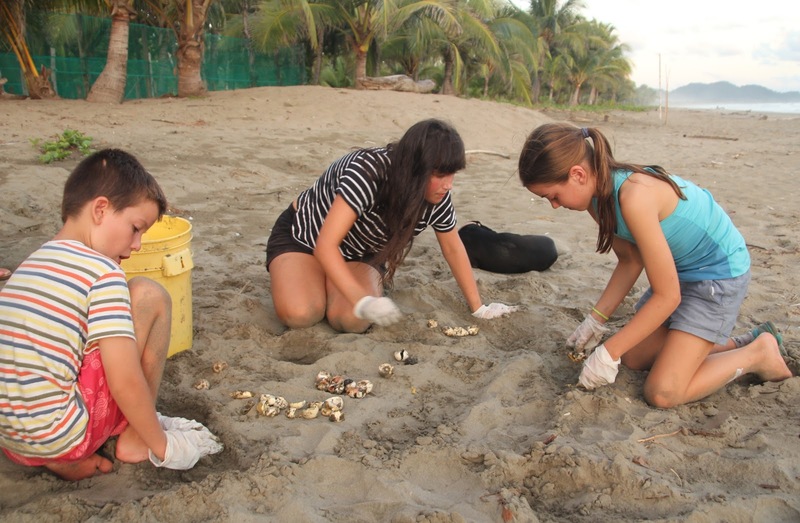 The Wrench family spent one week in September 2015 volunteering with turtles in Costa Rica. Kerri, Simon, Sienna and Charlie were kind enough to share with us their thoughts and experiences of living off the beaten track on this fantastic volunteer project. 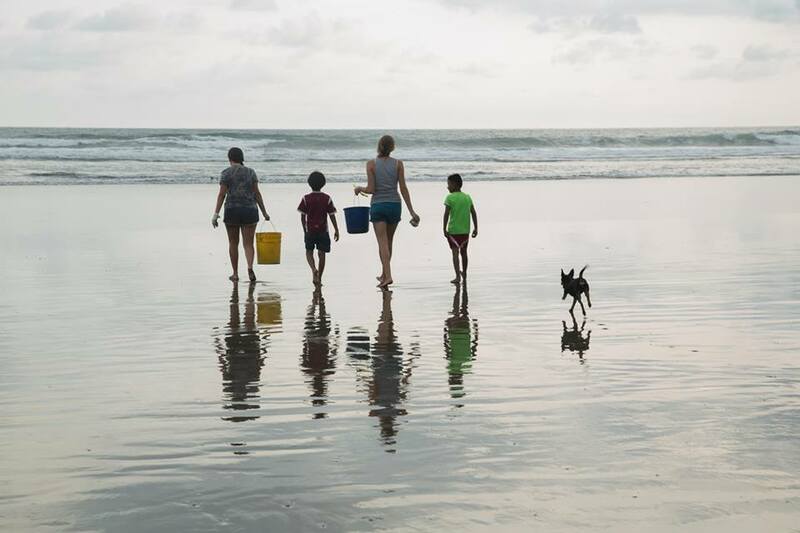 “When we left home, we were apprehensive but confident equally that the kids would be able to absorb and enjoy the cultures, days on the road and food. They have really taken it all in their stride, always looked forward to the next adventure, they opened their minds to different cultures & ways of living, made many new friends, embraced the Spanish language, challenged their taste buds & were prepared to try so many different living environments – islands, trees, cabins, forests, jungles, beaches and cities. We experienced 7 incredible nights with a great team of volunteers and Research Assistants, led by the passionate & dedicated Maddie, Wilson, Eric & Lottii. We felt like we’d really immersed ourselves into the culture & lifestyle and felt fortunate enough to get up and personal with the beautiful Olive Ridley Sea Turtle. It has really shed a new light for all of us on the work involved in Turtle conservation. Daily life & chores at the project ensured we had a lovely mix of relaxation and work time. With the weather being so hot and humid, our days were spent trying to stay cool – lying in the hammock, swimming, surfing or just hanging out being social with the other volunteers. Our path to the beach from the station was about 60 meters underneath the coconut trees with our biggest challenge to avoid the large number of crabs that occupy the lawns and to watch out for falling coconuts! Sienna and Charlie had the opportunity to make new local friends: playing soccer, balancing on the slack lines and practicing both their English & Spanish together. We really enjoyed spending time and getting to know more about the other volunteers (Alex, Fran, Nicci, Holli, Naomi, Ralph & Jordan). Such a relaxed, interesting & fun bunch of people. They were so welcoming to us as a family, especially given the relaxed / calm atmosphere at the project before we arrived, and that we brought with us two very excited, enthusiastic children who had endless energy, a great appetite and desire for conversation. We were surprised and spoilt with the beautiful meals provided each day, especially by Marbeth who made sure we never left the table hungry and the breakfasts (in particular the banana pancakes) made by the other volunteers. 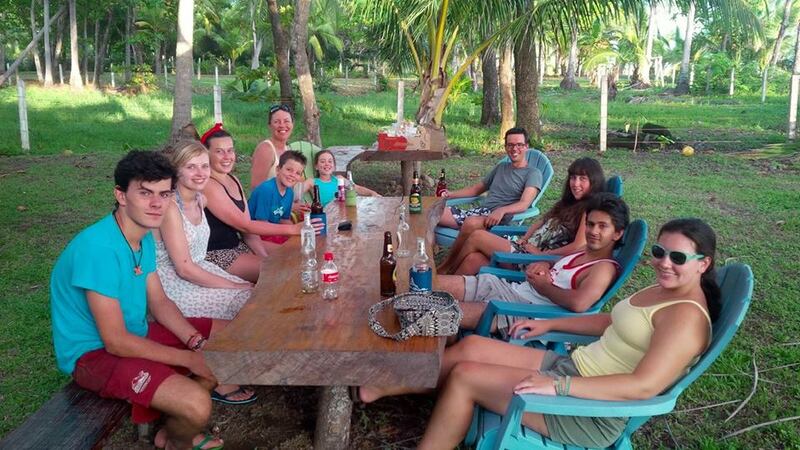 To find out more about the Wrench family conservation trip, check out our family volunteering webpage. Next Post What we got out of our own gap years?